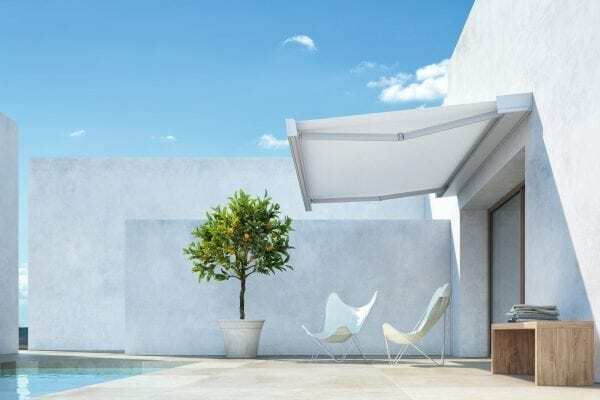 Awnings are ideal for enjoying the garden even when the sun is beating down, and to shield rooms from the sun’s rays keeping them cool without having to use the air conditioner. Pratic offers two types of garden awnings: the vertical drop-down and the extendable version, both with a box. 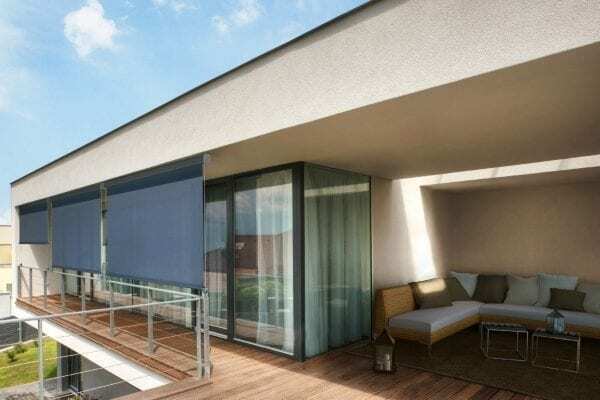 Comfort, aesthetics and user-friendliness are the main features of vertical drop-down garden awnings: advanced projects that combine design and technology. Each awning is custom-made according to your needs, and they can be either wall-mounted or ceiling-mounted. The awning’s optimal functioning occurs thanks to the synergistic work of two technologies: the Power Spring System, for impeccable canvas tautness, and the Magnetic Lock System, with its windproof function. Ellisse, Musa, Smart, T-Way, T-Code and T-Hide are our extendable garden awnings. These models distinguish themselves for their extremely classicand formal clean style, as well as for the generous area they cover. Highly technological, the T-Way, T-Hide and T-Code models are equipped with a motorized arm tension system that can be activated via remote control or simply via smartphone. Just a touch is enough to extend or retract the front, without the fabric losing tautness, and to lower the volant creating an intimate space of tranquillity and privacy. Both in the vertical drop-down and the extendable awnings, the box can be customized by choosing from thirty-eight colours: the eight classic Pratic colours and the new Tiger colours developed by design and architectural experts. The canvas can also be chosen from the numerous offers of the renewed Fabrics Collection. 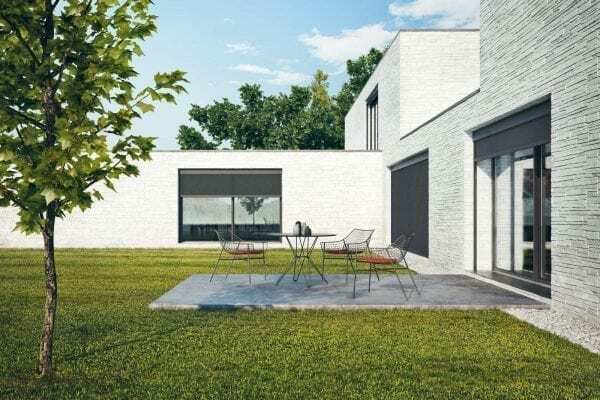 Therefore, based on your settings, you can choose between a garden awning matching the surrounding natural colours or displaying contrasting colours to create a detachment enabling relaxation.